With the ongoing fulfillment of the prophecies and predictions, we remind ourselves that it’s only through complete self-responsibility and seeing things as they really are that we can create our own preferred future and choose to become part of the spiritual teaching people. funkymystic What if some of these like minded seekers of truth, that we are to come together with and build the future, what if some of these individuals are refugees from war torn or environmentally ravaged nations? How can we find a way to open our doors and collaborate for the future, together? TheyFly TV This question is interesting and important because it expresses what’s called a normalcy bias, meaning that it presupposes that things “here” will be “normal”, untouched, etc. Wherever we may be, we don’t want to think that our nation could end up being one of the war torn or environmentally ravaged ones. Of course many people in the world already have experienced that. When we read the various prophecies and predictions, we see that the problems will ultimately be worldwide. We also note what’s said in the Henoch Prophecies about the fate of the USA: 217. Far in the West, it will be different; the United States of America will be a country of total destruction. The reasons for this are also clearly stated…and in clear evidence today. So, we may want to contemplate the warnings, and the spiritual teaching, which explains that, intrinsically, all human beings are of equal value. Nonetheless, in all situations including cooperative ventures, people must still use discernment and be self-responsible, etc. Scott Reed Hello Michael. Please explain what you are referring to by your words, “come back to this video.” The rest of your speech is such a great explanation, perhaps the best I’ve heard, of certain things. I am a lucky human being to be alive at this moment in time with you. I’m not licking your boots. I’m showing my appreciation for your work, your will, and your motivation. Salome, Scott. TheyFly TV Hi Scott, I think that we will have many opportunities to reflect on startling and dramatic environmental, geo-political, financial and other events and, rather than always finding ourselves completely thrown off, confused, etc., I wanted to have something “already in place” that could serve as a…reminder that we can and should center and compose ourselves and not lose sight of what’s necessary so that, while we may be affected by causes of the past, we are mindful of creating better ones in the present, in order to create our own preferred personal future and contribute to a better future for all of humankind and our world. When one reads this rather sobering information, it’s very easy to fall into denial, despair, hopelessness, depression, etc. But instead of succumbing to that, it’s better to view this as the opportunity to really put into practice the spiritual teaching. The thrilling conclusion to my misguided participation in the p— — n industry! Alex Jones: Don’t keep poking the snakes! I’ll Pay YOU to Buy This New Book! Well almost, kinda, because you’ll get a FREE $25 companion DVD! With all the annoying BLACK FRIDAY SALES I thought I’d take it to the extreme. 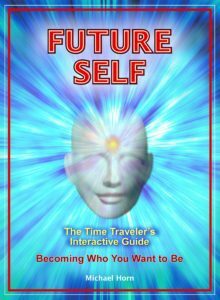 If you buy Future Self on Amazon,* I’ll send you my $25 Consciousness Awareness Workshop (Standing in Spirit) absolutely FREE (in the US, shipping applies for international orders). You can read all the great current reviews on Future Self here. *P.S. Yeah, if you actually clicked on this, you’ll see that the Amazon price is almost…50% off for this super-duper, hyper-promotional, holiday-commotional event! This price will be good through November 25! The new spiritual teaching people arise in a world of great external chaos and conflicts, they will need to learn how to gain access to, attain and maintain, their internal peacefulness. We see various meditation groups and so-called mindfulness programs appearing, so many people are already recognizing the need to cultivate peacefulness within themselves. They Fly Blog provides updates pertaining to the information in the Billy Meier UFO contacts and serves as a forum on which to discuss this information. Did Billy Meier Hoax the Talmud Jmmanuel? Directed Energy Weapons or Methane?